Nate Diaz is scheduled to fight Dustin Poirier in the co-main event at UFC 230 in New York but lately the former title contender is casting doubt whether or not that matchup will actually take place. The bout was announced last week when Diaz and Poirier both appeared at a UFC press conference in Los Angeles that brought together many of the biggest fights still left to happen in 2018. At the end of the press conference, UFC president Dana White unveiled a promo that revealed a lightweight title fight between Khabib Nurmagomedov and Conor McGregor that saw Diaz get up and leave the stages as soon as the video started playing. Outside the theater, Diaz complained about how the UFC treated him compared to fighters like McGregor and he cast doubt on his appearance in the fight against Poirier. On Tuesday night, Diaz seemed to further those rumors by dropping another message on social media that hinted at him potentially not fighting on Nov. 3 as scheduled. 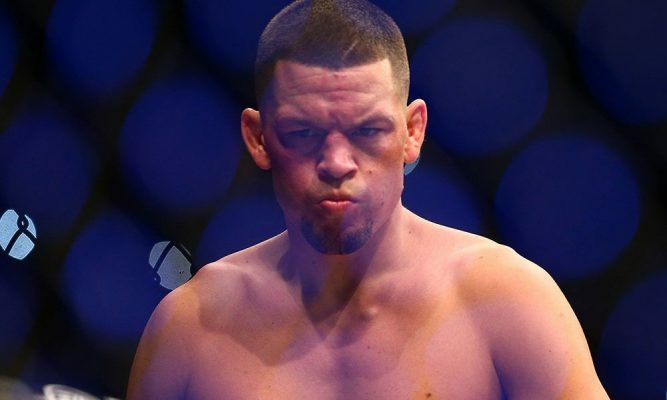 “I can’t commit when they actin like s–t,” Diaz wrote on Twitter. It’s impossible to know the ultimate outcome of this situation unless the UFC somehow announces that Diaz is no longer taking the fight. White has said as recently as Tuesday night that he hasn’t spoken to Diaz and has no plans to engage in discussions with the lightweight contender. For now, Diaz remains scheduled to face Poirier at UFC 230 but judging by his reaction at the press conference and now on social media, it’s hard to tell if the fight will actually take place or not.